Sony and Microsoft have both announced the slate of November 2018 free games that will be available to subscribing PlayStation Plus and Xbox Live Gold members. PlayStation Plus members will receive Bulletstorm: Full Clip Edition, including all existing Bulletstorm add-ons plus brand-new exclusive content. Choose survival or revenge as you play as Grayson Hunt, who crash lands on an abandoned resort planet. 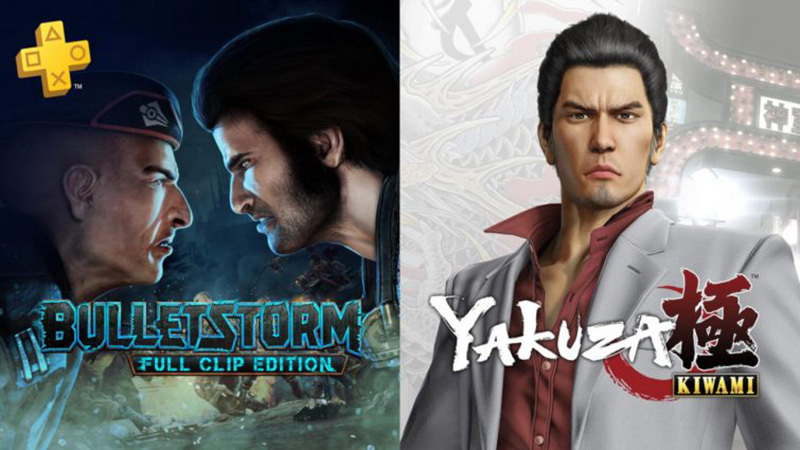 Members will also receive Yakuza Kiwami, which has been visually enhanced for 4K and retains all of its great action role-playing. For fans of H1Z1, the PlayStation Plus Blueshift Pack is available until November 13. The pack includes the Blue AR-15 schematic, Pro Gamer Hoodie, and Marine Blue Offroader, all free for PS Plus Members. The PS Plus lineup also includes Jackbox Party Pack 2 and Arkedo Series for the PS3, as well as Burley Ment at Sea and Roundabout for the PS Vita. You can subscribe to PlayStation Plus via this link. Xbox Live Gold members will receive four new free games — two on Xbox One and two on Xbox 360 — as part of the Games with Gold Program. On Xbox One, Xbox Live Gold members can download Battlefield 1 for free during the month of November. Race the Sun will be available as a free download from November 16 to December 15. On Xbox 360, starting November 1st Assassin’s Creed will be free for Xbox Live Gold members through November 15. Then on November 16, Xbox Live Gold Members can download Dante’s Inferno for free through November 30. You can subscribe to Xbox Live Gold via this link. The post November 2018 Free Games for PlayStation Plus and Xbox Live Gold appeared first on ComingSoon.net.